The Arts–music, painting, dance–are front and center at the School of Grace. On a recent morning as Helping Parent, I witnessed the impact this exposure to the arts has on our students. A refugee student, who spoke little English and knew little of the arts when he joined three years ago, expressed his sadness in morning circle when he learned there was no time for art that Wednesday. What wonderful growth this child has experienced at The School of Grace. When is the Right Time for Preschool? June and July are often months when parents of preschool aged children wonder if their child would benefit from a school experience prior to kindergarten. Friends and family frequently influence this decision with opinions and recommendations based on their own experiences. As a mom, I sought input from many resources regarding good schools and appropriate ages. You know the look the bottom lip comes out, the brows go down, the arms get crossed. Your child is determined to get their way. They won’t give in and they know you will. What’s a parent to do? If you force them to do what you want, your child will start shouting, get aggressive, or just cry. If you walk away or do the task for them, they learn that their determination worked, but they have missed an opportunity to use their determination productively. After Thanksgiving, our focus in Music class is on Christmas. We sing fun songs, like “We Wish You a Merry Christmas”, during which we clap, jump and twirl to a variety of verses; and “Jingle Bells”, when we imagine what it must be like to ride in a one horse open sleigh (and, of course, we play bells). 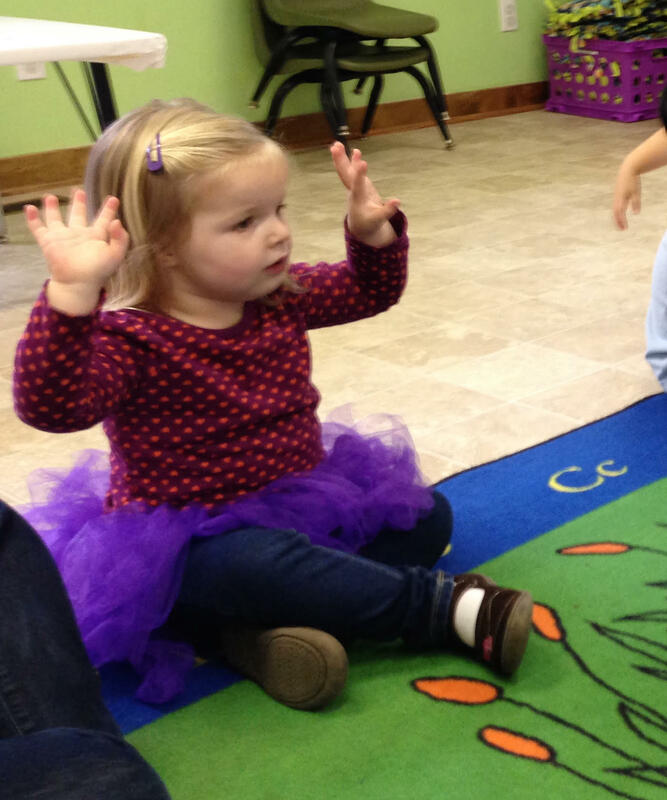 All of our fun songs evoke smiles, movement and joy. We continue with “Go Tell it on the Mountain”, combining a mixture of hand motions and sign language. The most touching part is the last chorus, when I tell the children to use their big (not yelling) voices so others beyond the classroom can hear us. The result is a beautiful collection of young voices owned by beaming children, who understand that the good news of Jesus’ birth is to be shared. My children go to a parent participatory preschool. The biggest part of this is taking your child into class, picking them up from the class (no carpool lines here! ), going to school with your child 1-2 days/month and providing the snack for the class. The thing is, I can’t go to class with my children and I am not the one transporting them. It wasn’t always this way. When they first started attending The School of Grace, I had a very flexible schedule at my job and was not only able to come to school at least 1 time per month with each of them, I was also able to pick them up from school 2 days per week. It is a great way to get to know the teachers, the other parents and the children your child is calling friends. So how does a working parent with a non-flexible schedule make a parent participatory preschool work?